I GREW UP during the 1950s in the then rapidly expanding university town of Davis, California, living with my family in a brand-new tract-housing development at the very edge of a vast expanse of barley, alfalfa, sugar beet, corn, and tomato fields. My youthful roaming on foot and by bicycle regularly brought me and my friends into other nearby neighborhoods as they were being newly constructed, along with visits to some of the canneries and industrial buildings then sprouting up throughout Yolo County. We didn’t know it then, but we were living within a microcosm of the American West that was being transformed before our eyes. Much later in life, when I moved to San Francisco in 1974 as a young artist and became a faculty member at San Francisco State University, I first met Lewis Baltz and encountered his photographs. Lewis was introduced to me by my good friend, Geoffrey Young, a talented poet and copublisher of The Figures press, who called my attention to Lewis’s Tract Houses of 1971 and his subsequent The New Industrial Parks Near Irvine, California of 1974. I immediately judged these photographic projects to be a compelling new form of acerbic visual literature, one whose content resonated fully with my own life’s experience.Geoffrey Young then rang my bell again in 1980, saying that he had hot in his hands a preview copy of Park City, Lewis’s brand-new photography book. It set forth another stirring visual survey created within the American West, one strongly supported by the National Endowment for the Arts, which documented a devastated tract of land extant not far from Salt Lake City that had been heavily mined during the nineteenth century. Here was another residential-real-estate boom in the making presented for visual contemplation, this one tied to that of rapidly expanding ski-resort areas then being developed in the West. And not only did Baltz present Park City as his own powerful visual essay of lament, he also tag-teamed it in his new book with a brilliant and insightful essay authored by the writer Gus Blaisdell. Up until this time, the only photographer I admired who had actively engaged a noted writer with his work was Robert Frank, whose introduction for The Americans by Jack Kerouac became a classic pairing of images and words that is still relevant today. 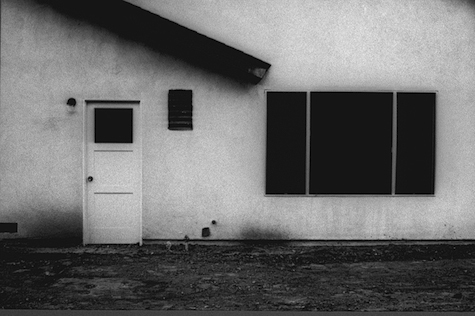 Lewis Baltz,Tract House #1, from the seriesThe Tract Houses, 1971,gelatin silver print, 5 1/2 x 9”. 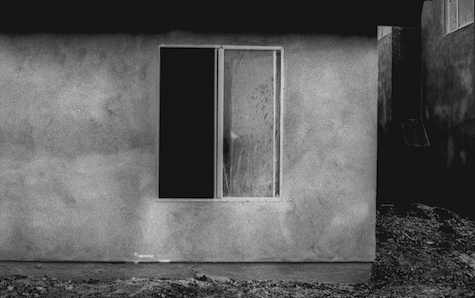 Lewis Baltz,Tract House #13, from the seriesThe Tract Houses, 1971,gelatin silver print, 5 1/2 x 9”. 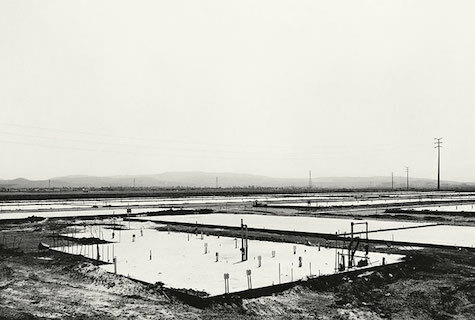 Lewis Baltz,Foundation Construction Many Warehouses 2892 Kelvin Irvine, from the seriesThe New Industrial Parks near Irvine, California, 1974. 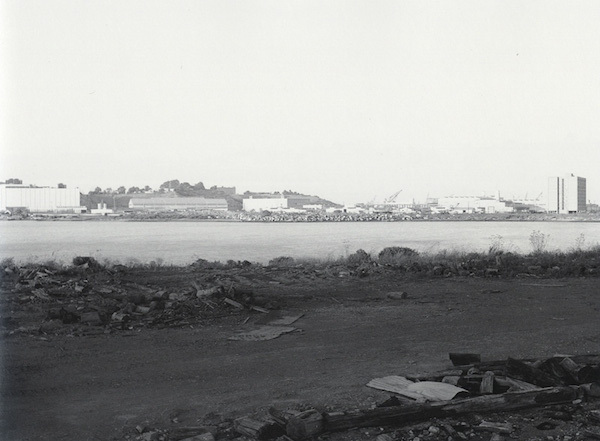 I had a wonderful opportunity come my way later on, during the mid-’80s, when I was asked to nominate two artists to create works in response to the public land known as Candlestick Park located on the outskirts of San Francisco. 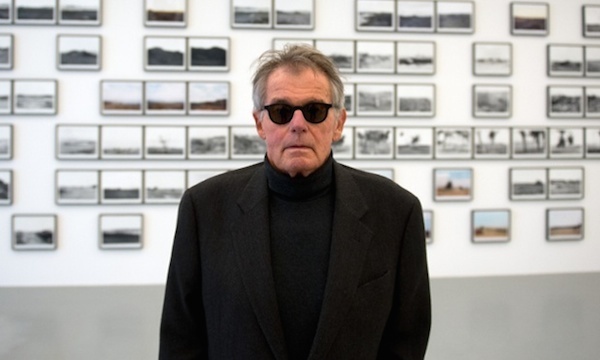 Happily, both of my nominees, Lewis Baltz and David Ireland, were awarded such commissions. And here yet again was another track of devastated land to be carefully considered and documented by Lewis, an unnatural field of construction debris that had been dumped in vast quantities into San Francisco Bay as landfill in advance of a new sports stadium that was then built on the site. Once opened, it became the home of the Giants and the 49ers and also hosted numerous concerts. The park’s vast asphalt parking lots almost surrounded the entire stadium, an austere and rubble-strewn landscape that finally ended at the Bay’s waters. I instinctively knew that Lewis would engage this spectacle in a trenchant manner, as he proceeded to do with his Candlestick Point project, 1989, and the new book that later accompanied it. He had a bit earlier in the decade taken a close look at another tract of despoiled bayfront land, on which one of California’s oldest maximum-security prisons stands in stark isolation against natural beauty of the most arresting sort. Many of us in the field of photography knew and admired Lewis for the fine work he did on both of these very public sites, but it was not until more than a decade later, here at the Yale University Art Gallery, that I was able to both purchase and exhibit his entire Park City survey, in 2002. It was shown simultaneously with Robert Adams’s What We Bought: The New World, 1973–74, and Emmet Gowin’sAerial Photographs, 1998, and Changing the Earth, 2002—commanding photographic surveys attended with important books that offer powerful visual evidence of how humankind has been continuously transforming the natural environment within which we all live and work. Lewis “Duke” Baltz has now left us, but his brave and remarkable legacy of visual literature will no doubt endure for a very long time via his many photographs. They provoke serious thought, waves of unease, and a terrible sense of beauty that cannot be easily shaken once they enter one’s eyes and mind. Jock Reynolds is the Henry J. Heinz II Director of the Yale University Art Gallery. Lewis Baltz, untitled, from the series Candlestick Point, 1989.